Leave a comment on THIS post by 6 p.m. CT Tuesday, February 9, 2016 to be entered in the DRAWING for a copy of the book below. If you mention in your comment that you’re a follower (see in the left sidebar “Join This Site” and “Follow by Email”), I'll add your name a second time in the drawing. U.S. mailing address required to receive a paper book. I may or may not have read books offered for giveaways. The mention and giveaway of books on my blog does not in any way indicate any manner of my endorsement of said books. Read book giveaway details at Disclaimers. To provide you security, please leave your email address like this: johnATyahooDOTcom. Winner announced in next Thursday's blog post. Welcome, Sandra. Where is your favorite vacation spot? My husband and I prefer the mountains to the beach. We spent our honeymoon in the Smoky Mountains. We like trees and a landscape that isn’t flat. We’ll often head to the Blue Ridge Mountains (a couple hours away) for a day trip. We also like to go to the North Carolina Sandhills area on a day trip or overnight. When I’m not reading at night I’m watching TV with my husband. I love football and NASCAR Sundays. I used to do much more gardening than I do now. Isaiah 55:8-9 (KJV): For my thoughts are not your thoughts, neither are your ways my ways, saith the Lord. For as the heavens are higher than the earth, so are my ways higher than your ways, and my thoughts than your thoughts.” If that doesn’t keep a person humble, I don’t know what will. Writing is an acceptable outlet for releasing all the people and situations trampling through my mind. (No, I’m not schizophrenic.) I love being able to use my imagination to create people, places, and emotional experiences that provide others with entertainment and, hopefully, minister to them in some way. the small room a bit crowded, but (mostly) private. (Shh! When my child leaves the nest, I’m taking over her room and making it my office.) Here are a couple of my writing buddies. These days a book needs reviews. After you read A Reluctant Melody, I would be grateful for an honest review on Amazon and/or Barnes and Noble and Goodreads. The best is simply a sentence or two that tells others what you liked about the book. When you meet people who enjoy Christian fiction, please suggest the book to them and tell them a little about it. Ask your library (church and/or public) to order it. Take a photo of yourself with the book cover (print or shown on an e-reader). Put it on social media and tag me. You’ll find my links below. Send me the image with your permission to put it on my website. Add the cover to a Pinterest board of favorite reads. With so many books out there and not enough time to read them all, it can be difficult for any writer to gain attention for her stories. I’m truly thankful for whatever someone does to help my title become one others want to spend their precious time reading. Please tell us a little about your novel, A Reluctant Melody. 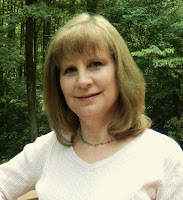 Join my email community to receive occasional updates and a free short story. 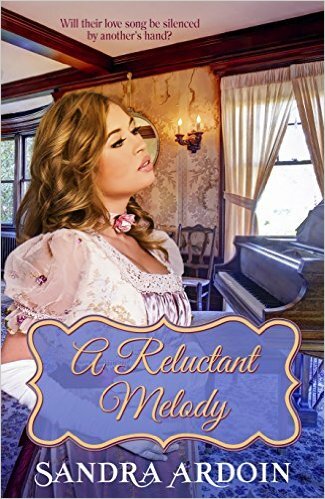 Where can readers purchase A Reluctant Melody? A Reluctant Melody is available in both print and e-book on Amazon and my publisher’s website. I want to thank you, Jo, for letting me tell your readers about my new book, and I appreciate your support for both my releases! Readers, I’d love to know how you choose a book to read. Cover? Backcover summary? Word-of-mouth recommendation? Social Media posts? 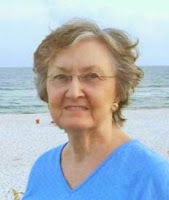 Sandra, thank you for visiting with my readers and me and for offering an eBook copy of A Reluctant Melody that one of the commenters to this blog post will win. The winner of last Thursday’s blog post for a copy of An American Gothic by Alice K. Arenz is Kim. I’ll email you. Thanks all for commenting. Watch for more book giveaways. Thanks for reading my blog! My next novel in the West Virginia Mountains Series is titled Promise Me. Look for it in the spring. All of the above. Cover first then back page description and social media posts. By the way I have been looking at this book and it looks and sounds awesome. I appreciate your answer, Stella. That's pretty much how my interest is piqued, too. I am so glad yo featured Sandra on your blog. I have seen this book featured on other blogs and am hoping I am able to read it soon. I choose a book by all of the above options, I go for an eye catching or unusual cover first then the back cover I read . t also helps to see a book featured on blogs and social media. I follow Jo's blog. This book sounds wonderful ! Deanne, glad you enjoyed Sandra's visit. I appreciate you following my blog and leaving your comment! The cover grabs me first, then I read the back. Melody, thanks for coming by and leaving your comment. 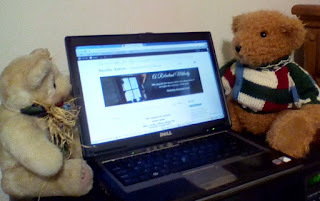 I appreciate you following my blog! Sandra is a new author to me. Yay! The cover is beautiful. Karen, glad you found a new-to-you author here. Thanks for leaving your comment. The books I look at first are the ones with the attractive covers and titles that look interesting. Then I read the back of the book to see the subject content.